I worked at my old job for over three years and made many wonderful friends there. One of my former managers, whom I wasn’t as close to as I was the others, is currently pregnant and expecting to have her second daughter in a couple of months, and a former coworker is throwing her baby shower at the restaurant that I used to work at. I really want to go, if for no other reason than to see my old friends and coworkers, most of whom I haven’t seen since I quit back in May. The reason I quit is because I made the mistake of dating a coworker in the last year that I worked there, and things didn’t end well with us at all. Basically, my ex cheated on me and left me for another coworker, and it split up quite a few friendships that I had with people there (I hear they’re now living together). I’ve tried to get over my hurt, but I know that I’m not ready to face them again – not just my ex and his girlfriend, but a few former friends/coworkers that also hurt me at the time. Since they all still work at the restaurant, I’m 90% positive that at least his girlfriend and a few other former friends will be in attendance at the baby shower. I used to have issues with panic attacks, and the thought of seeing them again makes me feel very anxious and I’m worried about how I’ll react if and when I do see her. Several friends are trying to encourage me to go, saying that they’ll be with me the entire time and will keep her far away from me, but I’m worried that that may just not be enough. So, let me get this straight: you want to go to this baby shower, “if for no other reason than to see your old friends and coworkers”? Uh, no. That should not be your main reason to going to a baby shower, especially considering such an event is a totally inappropriate time to stir up your own drama and make things all about you. You know what one’s main reason for going to a baby shower should be? Supporting the mom-to-be and celebrating the baby she’s carrying, not using the opportunity as an excuse to catch up with old friends. I mean, seriously. You wanna see you former co-workers without the anxiety of running into the ones you don’t want to see? Here’s a thought: plan a get-together with them. Call them up, text them, email them, Facebook them or however else you keep in touch with these people and see what everyone’s up to, say, next Saturday night and if they’d like to get together for dinner or drinks or bowling or a picnic in the park. It’s not that hard. Leave your drama out of your friend’s baby shower and send a small gift and your regrets. The mom-to-be will thank you. Why are you even considering going to this thing? Baby showers are really boring even without any added drama (which by the way you have no right to bring with you) do what Wendy says and catch up with your friends another time! Too easy. Next! I thought that having a baby shower for a second baby was tacky/rude? Apart from that, definitely don’t go. If you get anxious just thinking about it, it’s definitely NOT worth it. I’ve never heard that one before…. Why does one baby deserve to be celebrated but not the other? If you’re just “celebrating” the baby, then it’s totally fine, but a full shower with gifts and stuff is really only appropriate for the first baby- at least that’s what I’ve always heard. I’ve heard the same thing, but I don’t think everyone sticks to that. I know in my family we don’t. I think the idea was that most people had babies fairly close together, so they still had all of the baby stuff they needed. Now people are having them farther apart. In my family, we pass all of the baby stuff to whoever needs it and every mother-to-be and baby (no matter which one) gets some kind of baby shower. The purpose of the baby shower is to set up the new mom with everything she needs for the baby’s arrival. If she already has children, its assumed that she’s already equipped for the new baby. I have heard of parties being thrown when the gender of the second baby is different (because you can’t reuse the clothes, etc), but I have never heard of anyone throwing a baby shower for a second child of the same gender. So yeah, if she already has a daughter, that’s tacky. Well, I don’t have children, but I have been to many baby showers for a second child and I have never thought it was tacky. It’s a wonderful opportunity to congratulate the mom and celebrate the coming arrival a new little life! Why does everything have to be about presents? The traditional purpose of a “shower” rather than a simple party or brunch to celebrate the new baby is that at a shower, you “shower” the new mother with gifts. Presents are sort of the point of a shower, qua shower. I agree…the entire point, as others have pointed out, is presents. I have been to many baby showers for 2nd & 3rd children as well. Never heard of it being tacky, especially if the babies are different genders. To me, a baby shower is to celebrate the baby, yes gifts are given to the mom, but they’re for the baby… If your friends/family want to throw you a baby shower I don’t see why that’s tacky?? It’s not that the baby doesn’t deserve to be celebrated that’s why many people have a meet and greet after the baby is born so that way you are celebrating that birth. With a shower though, gifts are expected/assumed and having multiple children esspecially close together makes it tacky since the general thought is the parents should already have the basics. Baby showers for additional children when the age gap is extremely large is more acceptable since the parents wouldn’t still have everything from their first child. I agree with Wendy. The thing people forget when they agonize over whether to attend an event that there are plenty of people who can’t go to showers or parties because they have plans. They’re going out of town or it’s their parents’ 50th anniversary celebration or something like that. So, even if you choose to skip an event for a more dramatic reason, it’s not a big deal. Maybe multiple bridal showers for 2nd marriages, I’ve heard may be a bit tacky, but that’s all. Huh? Your logic eludes me. The baby doesn’t know or care that a baby shower is being held, so how can it ‘deserve’ a shower. The shower is for the mother. maybe deserve was a poor choice of words and yes the shower is for the mother but I meant more why should one baby get celebrated and not the other. i’m not saying to expect a full set of gifts like at a shower for the first baby, but a small celebration is nice. i guess i don’t see what the big deal about having showers for multiple babies is if you’re not the one throwing it for yourself. if your friends/family want to throw a party and get excited that you’re having another baby, why not? I’ve never heard that…but it seems like it can’t be, if someone *else* is throwing it for you. It would be one thing to throw yourself a shower, but if someone else wants to throw you one, why not? Huh. I never have heard this one before (not that I’m right, my cousins and friends haven’t or are just starting to have babies so I really don’t have a handle on the baby etiquette stuff). It makes sense from a practical sense – who needs more stuff – but it seems a little unfair to celebrate the birth of one child and not the other. Besides, I didn’t realize showers were so much about getting presents as they were recognizing the child about to be born. I think the term “shower” means literally to shower the new mother with presents. I’ve definitely heard having more than one shower is tacky, too, since the presents have already been given. Personally, I think if someone thinks it’s tacky/unnecessary, then skip it. Yeah, a lot of people don’t think that anymore. You’d think people would hang on to the baby stuff if they were going to have more children, but most people I know put it on Craigslist as soon as the baby grows out of it, and then need brand new stuff for the next one. Really? I didn’t realize that. My mother and aunts kept stuff forever. If someone feels the need to sell their baby items and then need new ones for a new baby…that’s their problem. A good friend of mine who is jewish just had a baby (a little girl), and they didn’t have a shower, they had a baby naming after the baby was born. When I noticed that she wasn’t having a shower, and volunteered to throw her one, she said (thanks, but) that her culture didn’t have baby showers because it was seen as sort of bad luck to do it before the baby was born (counting your chickens, kind of thing). I thought it was interesting and kind of nice, and of course, every baby needs to be named, so nothing tacky about it! totally random quesion- what exactly goes down at a “baby naming”? If you feel so uncomfortable then don’t go. As Wendy said, by not bringing forth any possible drama the mom-to-be will thank you. This party is supposed to be about her, not about what side of the room should so and so sit on because of some past drama and then clusters of split groups eying each other up and gossiping about the other group. I think that it will be totally nice of you to send a small gift with another friend, or even offer to take the mom-to-be out to lunch and give her the gift then one on one. She will understand if you bow out and decide not to come to make yourself/others uncomfortable because of old drama. As people have said in many other responses to other LWs, don’t do something that makes you uncomfortable even if there’s people pushing you to do it. You can visit with your other old co workers and friends a different day, or stop in when you know the ex or the new gf are not working. Also HIS LOSS! Hold your head high and don’t let the mere thought of him and the new gf drag him down, just remember, you deserve better and now you have the chance to get someone better ;). So remember that even if you do see him or her on a different day you may stop by. PS how long ago did this happen? Because if you broke up more than a year ago – I doubt many coworkers even remember/care about the whole love triangle. Yeah, this is definitely a case of going for the wrong reasons. If the person who was having the baby shower was one of the friends you mentioned it would be different. But, since she’s not I agree with Wendy. Tell them you’re sorry you can’t make it but you’d love to get together another time. The mother to be doesn’t need to worry about issues like that at her shower and you don’t want her to think of you as the person who brought the drama to her shower. I agree that you shouldn’t go. It’s not like this girl is your best friend or anything- no offense, but your presence won’t really be missed that much. Send your regrets and suggest that you all get together for lunch before the baby is born or something. This letter was completely selfish. I understand wanting to go to, say, a picnic to reconnect with old friends even if you wern’t that close with the host. But Wendy is completely right: this baby shower is about the mom-to-be. Send her a gift and a card in a mail telling her that you are sorry you couldn’t make it, and then just see your previous co-workers some other time. I feel like I’m missing something. 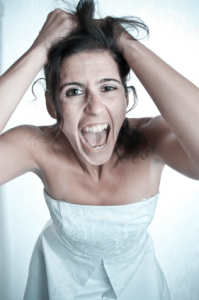 Why is wanting to go to a shower to see other people than just the expectant mother selfish? I am not saying I think she should go, nor do i think she should bring the drama with her about her ex and his new gf, etc. But, why can’t a woman go to a baby shower to congradulate/send her love to the expectant mother AND to see people she hasn’t seen in a while? Two birds, one stone. And even if she didn’t care that much about the mother, and just really wanted to see the other people going, as long as she 1) was invited; 2) brings a present/isn’t a mooch; and 3) doesn’t monopolize attention/make the day about her, why isn’t that a good enough reason for going to a party? 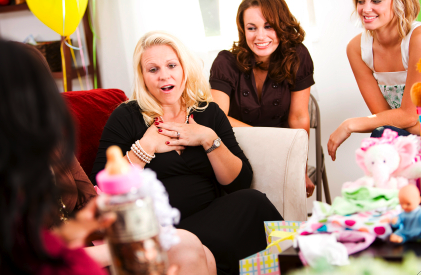 While, theoretically, baby showers are about the mom-to-be (or the baby? or presents? or whatever have you, see above), why does it matter the motivation of the person attending, as long as they play the part of the good guest? It probably wouldn’t be considered selfish if she just wanted to see her former friends, but to knowingly enter a situation with a “90%” chance of drama, that’s just rude to the future mom the party is honoring. I’ve been where you are, and I would definitely recommend not going. I was in a similar situation, except it was just with a really close group of friends, not old co-workers. I literally had to dump every single friend except one from the group for my sanity. I used to have dilemas like ‘oh but it’s so and so’s birthday and we used to be so close I should go even though I know the new happy couple will be there’. But you know what? So and so probably didn’t care if I was there or not, and probably really appreciated me not bringing my anxiety fueled drunken mess of a self. I guess in your case there won’t be alcohol at the baby shower, but I would still really recommend not going. You don’t need to prove how tough and over it you are to anyone, and besides the fact that you don’t mention that in your letter, I get the sense that you want to prove that the girl’s presence doesn’t affect you and you’re not going to skip just because she’s there. My point is don’t go to catch up with old friends. That is a terrible reason to go, and you already have anxiety about the situation. I know it’s tempting to go there and look really cute and act like you’re sooooo over the situation, but it’s not going to end how you think. If the thought of going gives you an anxiety attack, it will be obvious while you’re there how uncomfortable you are. You won’t come off like you’re over it, the girl that’s now with your ex won’t be nearly as intimidated by you as you hope, and the pregnant girl will be extremely uncomfortable at what is supposed to be a really joyous celebratory occasion for her. Moral of the story – you have absolutely nothing to gain by going. Being the bigger person in this situation doesn’t mean putting on a fake happy face and going – it means understanding your own personal limitations of what you’re ready to handle and sending a long a gift. I’ve been to baby showers where I’ve never even met the Mom before her shower. As a member of my local cultural group (Filipino-American), we hold these showers to celebrate the Mom as a new member of our cultural community or recognize the life milestone of a child who grew up in our group becoming a new parent. However, when I go to these showers, I do so with the spirit of “Yay! You’re having a baby! Let’s celebrate!” By the end of the shower, all the attendents are unoffical “Titas” (aunts) to the baby-yet-to-be-born. I understand the appeal of wanting to attend the shower to see your old friends and co-workers in your old job – the baby showers held by our group also strengthen the bond of the individual members as a community. However, you are no longer a member of that community within your former job, so you do not have to be involved with the group anymore if the drama you had with them causes you anxiety. If you weren’t close to the future mom-to-be to maintain an individual relationship with her outside of work, you don’t have a reason to go to the baby shower. SO DON’T GO. Creating drama where there is none. If you’re not close to this manager–don’t go. Meet up with your old friends you like and say, “Hey guys, I really miss you. Let’s hang out.” Done. Wendy is right on with her advice. I have a feeling you want to go to the baby shower & a part of you wants to see your ex &/or his gf. It’s totally natural to want to “show off” how much better off you are without an ex, but a baby shower is NOT the place to do it. If the mom-to-be & everyone else there knows what happened, I’m pretty sure no one will be surprised you regretfully declined the invitation. I would do as Wendy said, invite your ex co-workers out for drinks/dinner & I would offer to meet up with mom-to-be at some point to give her a gift & apologize for not making it to the baby shower. Maybe visit at her house or meet for lunch, if she can… From someone who still suffers from panic attacks & constant anxiety, I would not want to put myself in a situation where I know there’s going to be a good chance of an attack. Just do yourself, & the mom-to-be a favor & don’t go, as everyone & I have suggested, there are many other ways to show you still care about their friendship. Think about it. Echoing what everybody else said — just don’t go. It’s not worth the headache. If you know the mom-to-be well, go see her sometime and bring her a gift. If not, send her a nice card and then invite the people you do know well out to lunch. It’s just not worth it to stir up drama where there doesn’t need to be any. Wow, people are being really harsh. I totally agree that the LW shouldn’t go to the shower, but mean-girling her and calling her a selfish drama queen is totally unnecessary. And LW: if you’re having anxiety attacks, you need to talk to a therapist, because no a-hole douche is worth that. It does boggle my mind how some people do tend to constantly and “innocently” create drama though. “I really want to go! I so, so can’t face them though… Did I mention I might have a panic attack and cause a huge giant scene! Oh, whatever should I do?” Ugh… Drama. Drama. Drama. This is a female trait that is often simply exhausting. And before you all jump on me for saying that — stop and think — can any of you honestly imagine a man penning this exact same letter? Seriously? I can’t. yea, i feel like she is basically saying, if i go to this shower, i will more then likely have a panic attack/create some kind of drama, but i really really really want to see my other friends! and in that sentence is NOTHING about the expectant mother, or the little baby that is on the way… that is ridiculous. if you want to do what you would do by going to the shower, just get all these people in a room and do the drama thing there… please leave the expectant mom and baby out of it. they didnt do anything to you! dang. I guess I don’t understand the problem here. LW wants to go to the shower to see her friends but doesn’t want to see other people who will be there. Obviously, she should make arrangements to see her friends another time. I get that it would be convenient to see them at the shower since someone else has made the arrangements for them all to be gathered there. It’ll probably require some effort to get everyone you’d like to see together in the same place at the same time but if you really want to see them the effort will be worth it. If you don’t want to see them that much then you really had no dilemma to begin with.